Project a smooth demeanor with the dapper look of the Salvatore Ferragamo® Cruise Sneaker. Smooth and genuine leather upper. Slip-on construction with elastic goring to each side for easy on and off. Signature Gancino brand logo at the back of the heel. Triangle shape applique featured through midsole. Product measurements were taken using size 11, width M - Medium. Please note that measurements may vary by size. 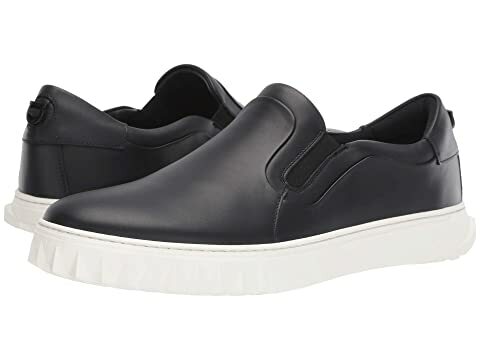 We can't currently find any similar items for the Cruise Sneaker by Salvatore Ferragamo. Sorry!